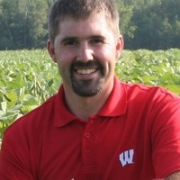 In preparation for this year’s Wisconsin Corn•Soy Expo on February 4 and 5, 2016, Pam Jahnke of the Farm Report interviewed UW Extension Soy Specialist Dr. Shawn Conley about a major Expo event and his thoughts on the 2016 growing season. You can listen to the entire eleven and a half minute interview below. 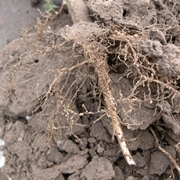 Dr. Conley recently completed his annual agronomy update where he met with many growers. His key takeaway was that growers are concerned, especially about prices. Thanks to the robust harvests of 2015, there’s a lot of corn in the bins awaiting sale, which lowers the price. Dr. Conley notes Wisconsin growers are facing a yield gap of up to fifty bushels an acre over the genetic potential of seed. 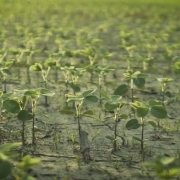 While weather plays a part in the gap, other factors, such as farming practices, soils and the type of genetic seed used also play a major role. At this year’s Corn•Soy Expo, Dr. Conley hopes growers will bring and share confidentially with him their production field records from 2014 and 2015—and the more information, the better. He will gather survey data in small groups of 30 or so growers on Thursday, and the information you share with him will be kept secure with him alone. He will then aggregate this data anonymously to see what trends emerge. Dr. Conley hopes this study will reveal concrete steps to improve ROI as well as show the costs and benefits of farming practices and seed choices. The Corn•Soy Expo occurs this February 4 and 5, 2016 at the Kalahari Resort in the Wisconsin Dells and is a “must attend” event. Go to Corn•Soy Expo to register today. 3. 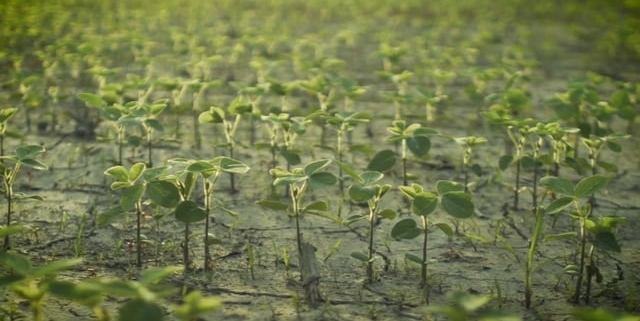 What Will This Year’s El Niño Mean for Growers? Dr. Conley notes that there was a 17 to 34% yield swing from the lowest yielding seed to the highest. Without question, genetics are the big driver of yield. He urges growers to look at the data on coolbean.info (especially the starred varieties) and judge for themselves. Dr. Conley observes that even if a high-producing seed variety costs $3 more per acre, the data show it’s more than worth it in returned yield. A. Plant before May 1: Dr. Conley admits talking of “planting days” is as old as Agronomy 101 but it still matters. 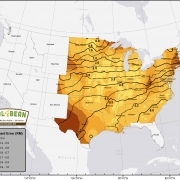 Research shows anywhere from .2-.6 bushels per acre per day yield lost past May 1. That’s a loss of free yield. Waiting until May 10 costs you 4 bushels per acre. Linger past May 20 and you’re missing out on 8 bushels per acre. Granted, weather plays a role here, too, and May is our wettest month. Being prepared to get into the field early during in the growing season quickly pays big dividends that don’t cost you an extra dime. B. Use Pre-Emergent Herbicides: Dr. Conley notes that last year saw an explosion of glyphosate-resistant weeds. 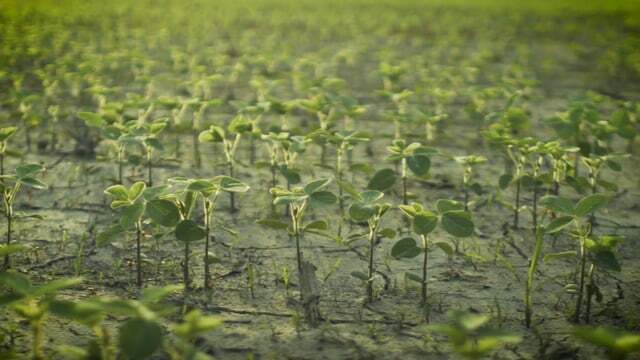 It’s much easier, and cost-effective, to prevent these weeds from gaining traction than to battle them after they emerge, especially if wet weather keeps you out of the field. In his view, the return from early use of pre-emergent herbicides far outweighs their cost. 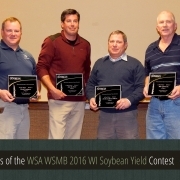 Dr. Conley looks forward to seeing and meeting growers (and getting the data from their 2014/2015 production field records for his yield gap study) at the the 2016 Wisconsin Corn•Soy Expo on February 4 and 5, 2016 at the Kalahari Resort in the Wisconsin Dells. Go here to register your spot today.